In the beginning three guys (a luthier, a pattern maker, and a businessman) outside of Chicago decided to take on the big guys. They designed instruments, started a workshop, and built a company. SD Curlee basses have been seen on stages of all sizes since, and even on MTV in its early years. They rock, they roll, and they're absolute funk machines. Years back amazing circumstances found the remains of the company in the hands of S.D. 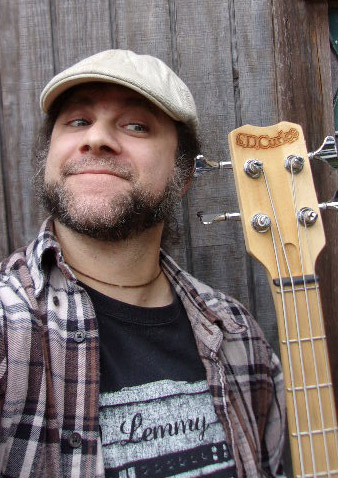 Curlee fan, collector & enthusiast Scott Beckwith - also the designer/luthier behind Birdsong Guitars. We then applied all we know about crafting high-end short scale basses to the classic 1970s SD Curlee design, along with the far superior parts & hardware available to us today. It couldn't be in better hands. So what did we do? Bassically, design out problem areas of the originals and refine them with boutique-level craftsmanship... while keeping the vintage S.D. Curlee family natural look, vibe & classic, punchy tone. And every one is still USA workshop built, which means something to us... we didn't go the "Import re-issue with our name on it" route that could have been SO easy. Instead of a re-issue, we re-vised. Headstock angle, string pull, hardware, 2-way truss rod with easy access, much stronger 3-pc. neck with thick fretboard, full shielding, attention to detail, weight, playability, stability, balance, QC. Then we top it all off with our hand-rubbed oil finish. If you want a heavy, crude 40 year old original - we get it, we love them too. We're proud of the legacy. But we're even more proud to be offering you the best made, best playing & sounding basses we've ever made - and there aren't a lot of companies that can say that. Thank you for your continued interest in S.D. Curlee USA! '70s Street Machines with STRINGS! 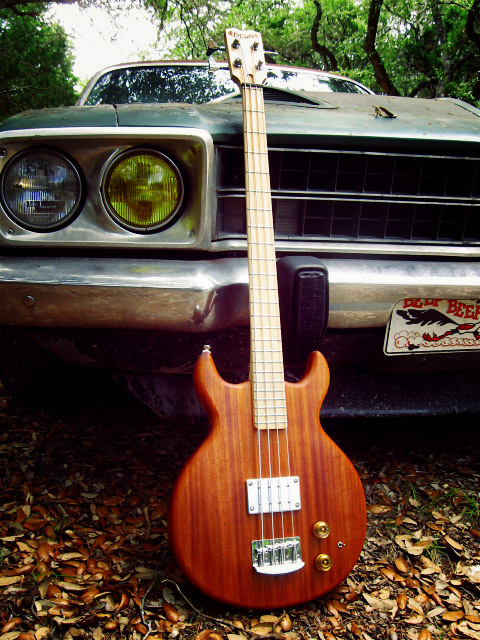 Standard "76" Today's version of the original SD Curlee bass with the "brick" pickup! Maple neck, mahogany (shown) or walnut body. Same strong but articulate DiMarzio Model One humbucker, available in aluminum with chrome hardware (shown) or black with black hardware (shown on the lefty of mahogany & pecan). Standard "78" The classic Standard model with the cream Dimarzio Model P. Maple neck with mahogany or walnut body. (Shown is special walnut butcher block). Chrome or gold hardware. $1500 w/thick padded gig bag, shipped! Yankee II After the response to the new Standards, we'll be crafting a modern version of the late '70s Yankee model. A Photoshop rendition (right) based off of the old ad shows the upgrades. Upper & lower horns slightly reworked for balance & the upper fret access the Standard model (or old Yankee) can't offer, pickups (CREAM DiMarzios, same models as the '70s basses) reconfigured to thicken the tone of the thin strings in the bridge position where it's needed and give better slap/funk finger access up by the neck, revised controls & series/parallel switching, and a center block in the 7-pc. body to give a look similar to the old SD Curlees with the long tenon neck (a design we changed from when we went to 31" scale from 32"). Also on the Yankee will be full Hipshot hardware - style A bridge and clover-button ultralight tuners - and the cool, oh-so-’70s “German carve” edge. Overall a much more high performance instrument. $2400 w/very nice, thick padded gig bag - shipped! Today's SD Curlees are a little different but a lot better in ergonomics, build quality, and neck stability. They weigh less, balance more, and are made with boutique attention to detail. Yes, they will still most definitely shake the walls or throw down the funk through a good amp! All electronics are passive, fully shielded & star grounded. Overall weight averages in the 8 pound range ready to rock. HAND LUTHIER BUILT BY BIG S.D. CURLEE FANS CARRYING ON THE LEGACY! For the whole story & vintage instrument info check out the SD CURLEE INFO PAGE.